Simple movement and music are key elements to Rosen Movement. Movement is natural and essential for a healthy body, mind and spirit. With low impact movement, we gently move all the parts of our bodies in ways that feel good and let the breathing relax along with the muscles. Music of all sorts supports/accompanies us as we move! Come to either class in Minneapolis or St. Paul. Classes are $15 and drop-in’s are welcome! Bring an exercise mat and/or blanket, water bottle and dress in comfortable clothes. Call Marjorie at (612) 242-6646 or email marjorie@marjoriehuebner.com for more information.  A sense of community, which is gained by moving together with others while learning to support and be supported. This helps us to cope with everyday stress. Support with balance and strengthening, which improves body alignment and flexibility, helping to prevent injuries while we age gracefully. A complement to other movement practices, and help with preparing your body for more strenuous activities. A chance to learn new movement patterns, which helps us to develop sensitivity to and awareness of self and others. Rosen Movement, as created by physical therapist Marion Rosen, utilizes range of motion movements for the joints and movements for stretching muscles. Rosen Movement brings a smile to my face whenever I do it which inspired me to learn to teach it and bring it to others. We bring body awareness to what is moving. We notice how it feels to move. As we learn to relax and to soften areas of stiffness, we bring pleasure, ease and enjoyment to moving. All movement is done to a variety music, which energizes, inspires, supports, and motivates us to move. Rosen Movement was created by Marion Rosen, who began her career as a physical therapist. From her knowledge of physical therapy, she utilized the range-of-motion exercises for the joints of the body, movements for stretching muscles, and movements that promoted the expansion of the natural breath. Learning about balance, alignment, and how to move from the core are also important elements in each class. Her patients asked her to develop a class to keep them from needing Physical Therapy in the first place. 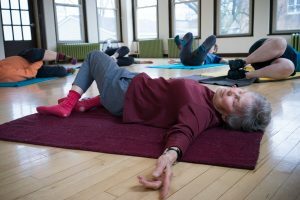 So she called it “Physical Therapy in reverse.” The goal was to keep the body healthy and limber in order to age gracefully. She added music to support and naturally stimulate movement. She used partner work and touch to help class participants to be more aware of the specific ways that different parts of our bodies move and feel. The movements are designed to move each joint in its full range, which stimulates the production of synovial fluid, this is the body’s way of keeping the joints lubricated. This only happens when we move the joints, so we need to keep them moving. Movement promotes the brain/body connection through proprioception. Proprioception is the sense of where we are in space. The brain integrates information from proprioception and from the vestibular (balance) system into its overall sense of body position, movement, and speed. Such integration is necessary for healthy body awareness. Music, used in Rosen Movement classes, taps into the universal human creation of music found in all cultures. Watching children want to move when they hear music highlights the innate connection to music and the movement of the body. Marion Rosen, PT. Founder, Rosen Method Movement. I love this class. It works through all the joints in my body, from tiny to big ones in gentle but delightful ways. The music adds greatly to the joyful movements. Marjorie is an attentive, wise, and inspiring teacher. It’s one class I wouldn’t want to miss. I’m a 72 year old active resident of St Anthony Park neighborhood. Rosen class sets me up for the day. In fact, it sets me up for the week! My week begins and ends on Thursday. I’ve been in Marjorie’s Rosen classes many times, and each time I feel joy! And, I’m often touched to tears, at her gentle, kind manner, the magical music, and my bodies response to these graceful movements. Highly recommended! Thank you for your connection, your caring, your curiosity. I so appreciate the way you move in life. Attending Marjorie’s weekly Rosen Method Movement class is a must in my self-care regimen. My back goes out from time to time, and this class helps keep me limber and in gentle shape. I love the variety of exercises in the class and Marjorie’s attention to all of the parts and joints of the body. The music is great too! I leave with such a light heart and grounded sensibility. Thank you for the wonderful spirit you bring to your teaching. I greatly appreciate your openness and accessibility as a teacher and person. 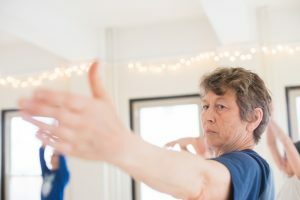 When I go to Marjorie Huebner’s Rose Movement class, I know I am going to move every joint in my body in a gentle but effective way that feels good. I know I will probably learn something interesting or useful in class. And I can count on having fun along the way. I find that every time I leave class I feel better than when I arrived. What more could I ask! I have had breast cancer and a recurrence. 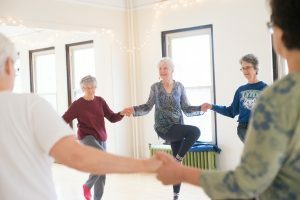 Throughout my cancer experience – chemotherapy, surgery, radiation and post treatment, I tried to get to my Rosen Movement class as soon as I was physically able. Marjorie’s class has been an important part of my healing process. The intentional but careful stretching and movements were helpful in dealing with pain from my mastectomy, lymph node dissection, and also from the lymphedema. I often found myself doing some of the movements at home to help me get more range of motion in my left arm and shoulder, and to help me work with the pain. 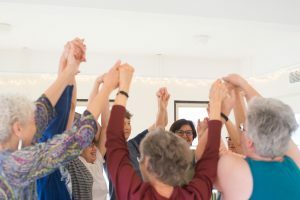 In addition to the physical benefits of Rosen Movement, the music and the group nature of the Rosen Movement class was part of my emotional and spiritual healing. I would highly recommend anyone dealing with recovery from a physical or emotional problem to participate in this Rosen Movement class. Marjorie is an extremely generous and knowledgeable teacher. I have definitely improved my balance and flexibility due to the class, and her eclectic music choices are always fun. Though I’ve only been at class for a mere number of weeks, I know why so many have been with you for 12 years. It has been a true and wonderful treasure to have stumbled upon Your Class. And you. What you feel showered upon you has truly been showered upon me – each and every class. Thank YOU.